I found some interesting information recently. 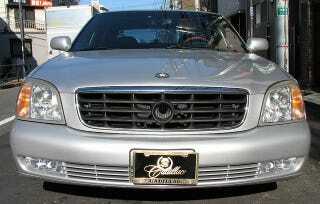 The Cadillac Deville was offered in DTS trim with an optional night vision assist feature from MY 2000-2004. It was seen as one of those gimmicky features at the time, which is why it was discontinued for 2005. The technology, however, is FLIR(foward-looking infrared), which is exactly the same technology used in the Apache helicopter to get pictures like this in complete darkness. Needless to say, I want one. If you're lucky, as some people are, you can find them in tact on 00-04 Devilles for less than $300. That's way better than $1000+ you can find online and for similar tools. So if anybody sees one, let me know!